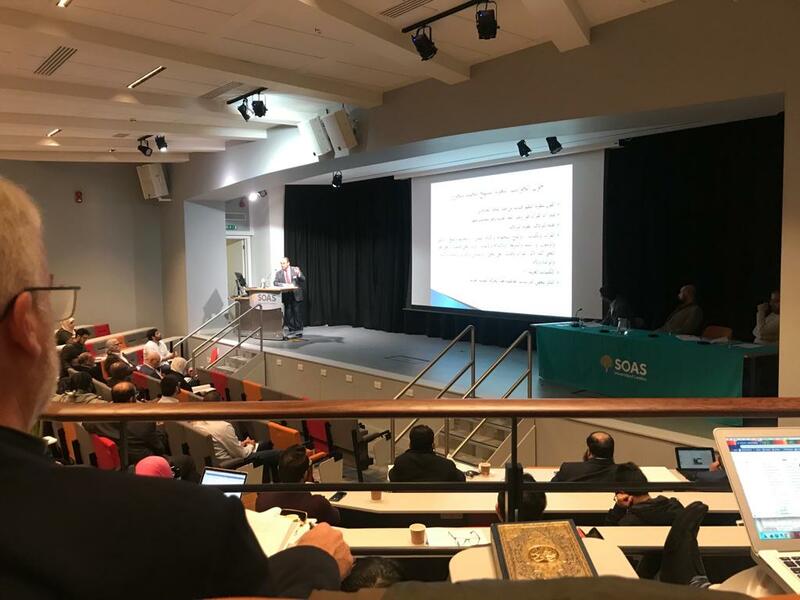 The conference was attended by a large number of academics and specialists in Quranic studies and translations from a number of countries in the world. 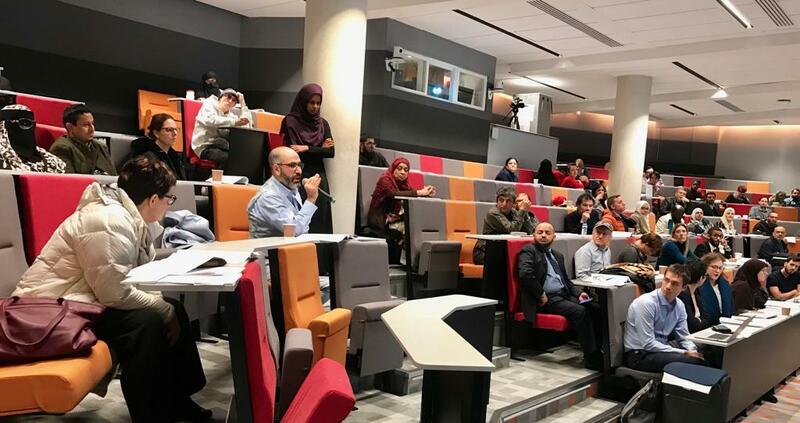 The conference covered various topics related to the means of translation and the translation of the Qur'an into the Turkish and Japanese languages and some Indo-Chinese languages and to address the differences between the English translations and the modernistic reading methods of the Qur'an. 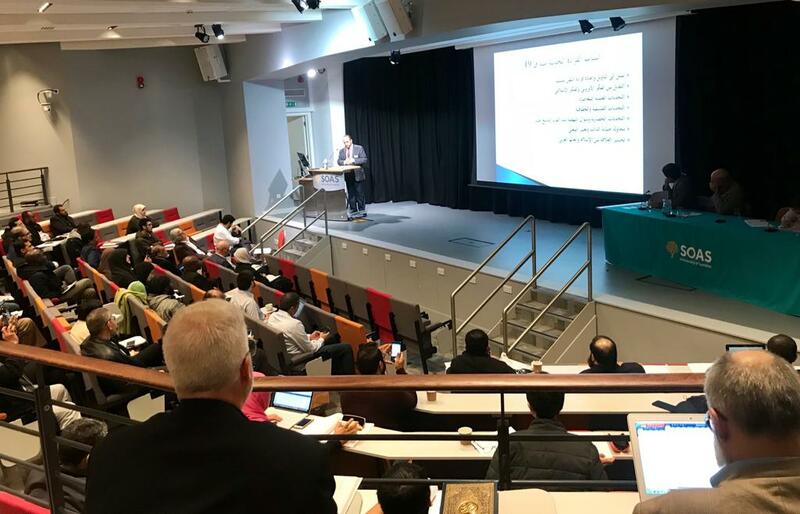 Dr. Ahmad Al-Dubayan, Director General of the Islamic Cultural Center in London, participated in the World Conference on "Criticism of the Literary Approach to the Contemporary Reading of Muhammad Shahrour in the Holy Quran". He spoke extensively about contemporary modern reading since the nineteenth century. He said that they tend to interpret and re-read the text for several reasons, and between the topics "the convergence between Islamic thought and European thought and contemporary scientific challenges in addition to the challenges of philosophical and human rights and cultural challenges and the question of the Renaissance since the nineteenth century and try to protect the self and change the meaning in addition to bridging the relationship between Islam and the Western world". Dubayan said "some modernist readings and the reasons for their emergence and the approach of Shahrour in dealing with the language of the Quran in terms of lexicographical meanings and criticized the way to deal with the theory of systems at Al-Jurjani." He also criticized "the theory of tandem elimination" and explained "the results of this reading at the general linguistic level and the principle of legislative communication." He criticised "some of the language proposals that have circulated in the middle of the last century among some scholars and writers in the Arab world." 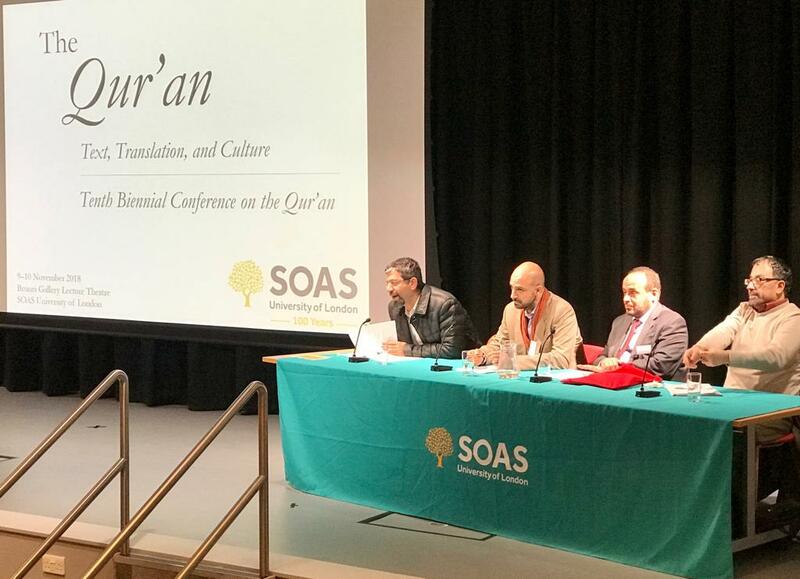 This important conference is held every two years at the University of SOAS in London and has a high academic preparation. And Mohammed Shahrour born in Damascus 1938, a professor of civil engineering at the University of Damascus and the author and a view of what was called the contemporary reading of the Qur'an. Shahrur began his writings on the Qur'an and Islam after his return from Moscow. In 1990 he published the Book of the Qur'an, in which he tried to apply some new linguistic methods in an attempt to find a new interpretation of the Qur'an. Support. Abdul Qahir al-Jurjani is considered the founder of the science of rhetoric, or one of the founders of this science, and his books: the signs of miracles and the secrets of rhetoric is one of the most important books written in this area. It has been said about him: he was a devout sponsor, a scholar, a believer and religion, as he wrote many books, and he has a message in the miracle of the Quran entitled "The healing message in the miracle of the Qur'an" achieved with Two other letters of Al-Khatabi and Al-Rumani in the same book are Muhammad Khalaf Allah and Muhammad Zaghloul Salam, which is one of the best written in the Miracles, in which Al-Jurjani denied the saying in the flat, supporting his words with conclusive evidence and compelling arguments. Abdul Qahir al-Jurjani died in 471 AH, according to the Wikipedia reference.